HIV and substance use are inextricably intertwined. One-sixth of people living with HIV/AIDS (PLWHA) transition through the correctional system annually. 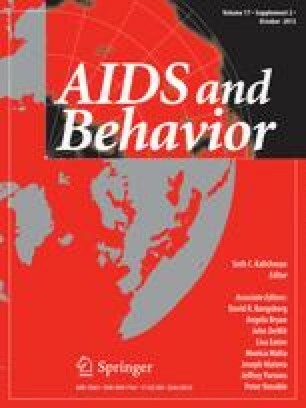 There is paucity of evidence on the impact of substance use disorders on HIV treatment engagement among jail detainees. We examined correlates of HIV treatment in the largest sample of PLWHA transitioning through jail in 10 US sites from 2007 to 2011. Cocaine, alcohol, cannabis, and heroin were the most commonly used substances. Drug use severity was negatively and independently correlated with three outcomes just before incarceration: (1) having an HIV care provider (AOR = 0.28; 95 % CI 0.09–0.89); (2) being prescribed antiretroviral therapy (AOR = 0.12; 95 % CI 0.04–0.35) and (3) high levels (>95 %) of antiretroviral medication adherence (AOR = 0.18; 95 % CI 0.05–0.62). Demographic, medical and psychiatric comorbidity, and social factors also contributed to poor outcomes. Evidence-based drug treatments that include multi-faceted interventions, including medication-assisted therapies, are urgently needed to effectively engage this vulnerable population. Funding from this Grant was provided by the Health Resources and Services Agency for the 10-site demonstration and by the National Institutes on Drug Abuse for career development (K24 DA017072) for Frederick L. Altice. Karberg JC MC. Drug use and dependence, state and federal prisoners. In: Bureau of justice statistics 2006. http://bjs.ojp.usdoj.gov/content/pub/pdf/dudsfp04.pdf (2006). Chen NE, Meyer JP, Avery AK, et al. Adherence to HIV treatment and care among previously homeless jail detainees. AIDS Behav. 2011. doi: 10.1007/s10461-011-0080-2. Karberg JC JD. US Department of Justice, Bureau of Justice Statistics. Substance dependence, abuse, and treatment of jail inmates 2002. 2005. http://bjs.ojp.usdoj.gov/content/pub/pdf/sdatji02.pdf. National Institute on Drug Abuse (NIDA). Cocaine: abuse and addiction. 2010. https://www.drugabuse.gov/sites/default/files/rrcocaine.pdf.